Hemp Oil for Weight Loss? To many people, weight loss is a simple task, while some see it as a “big deal”. The truth is that weight gain has been a serious issue because of its threat to the lives of more than 65% of Americans and the rest of the world. However, many health professionals and fitness experts have launched numerous ways to combat it. Surprisingly, many of these so-called weight loss plans do not work. A lot of them are overloaded or under planned which gets the user bored and tired in no time. However, a research has found that the best and the most effective method to lose weight is to go the natural way. Medicine, injections and surgeries may sometimes do more harm than good to this life-threatening issue. Consuming natural elements and a balanced diet remain the best approach to lose weight without adverse effect. That being said, hemp oil, which is derived from hemp seed from hemp plant offers varieties of health benefits including weight loss. It contains many beneficial compounds which help to combat elements that harm the body. Hemp oil is regarded as the best natural oil because of its incredible health benefits. Aside from weight loss, hemp oil has been found helpful as an addition to regular treatment of many diseases, in balancing the immune system or even helping with depression. According to research, the hemp seed oil contains an acid known as linoleic acid, an active element which helps in preventing weight gain. In fact, hemp oil is considered a better oil than olive oil because its calories content is lower to that of olive oil. Highlighted below are few reasons why you should take hemp oil for weight loss. When your metabolism rate is increased, you lose more weight compared to when it is low. Because it takes more time to burn protein than carbohydrate, hemp oil which is rich in protein helps in increasing metabolism. Hemp oil is high in fibre which supports digestion. It also contains vitamins and minerals which make you full for long hours. This process prevents you from taking unhealthy food such as snacks and other processed food that aid weight gain. Hemp oil also helps to reduce weight by assisting the body tissues that retain water, which leads to edema formation. The more calories in our meals, the more weight it adds to the body. However, hemp oil contains fewer calories (100g per 725 calories) compared to olive oil which has (884kcal per 100g). This proves that consumption of hemp oil will offer fewer calories and more omega-3 fatty acid which is great for heart problems. 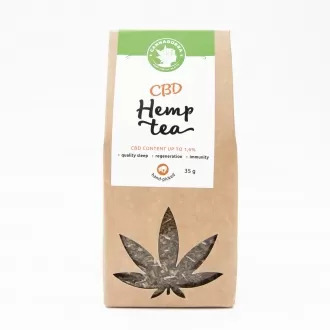 As mentioned earlier, hemp oil seed contains linoleic acid which is known for helping the body to reduce weight therefore makes it appropriate for weight loss. Linoleic acid decreases body fat in adults and also may reduce the feeling of hunger. Hemp oil contains several health benefiting nutrients for weight loss such as sterols, a compound that lowers the level of cholesterols, natural antioxidants such as tocopherol, linoleic acid, omega-3 and omega-6 fatty acids, among others. Omega-3 and Omega-6 acids being especially beneficial due to their reported properties such as anti-cancer, anti-inflammatory and anti-thrombotic. Obesity is undoubtedly a complex and serious issue. If you tried hundreds of different weight loss plans, and they did not work for you, you might try hemp oils in addition to your current treatment or diet, and you will hopefully see a difference. 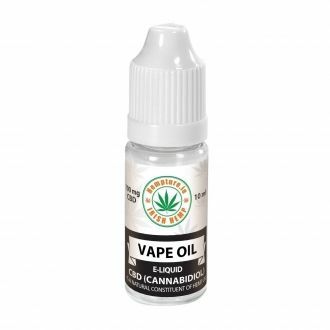 You can view our selection of hemp oils by visiting our online shop. CBD Shish Kief: 2 grams of CBD kief powder with 140mg of cannabidiol.